Barbecue places come and go. We’re still here after 14 years. 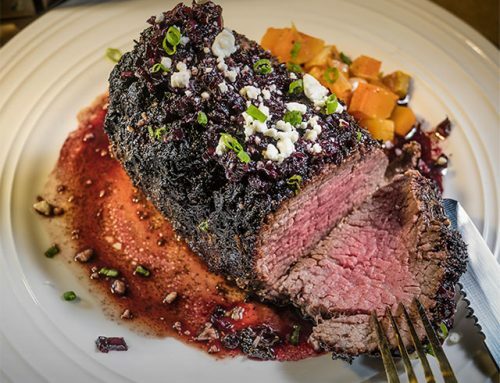 Spiced-rubbed prime pork gets another dimension of flavor from seasonings injected into the meat before cooking. 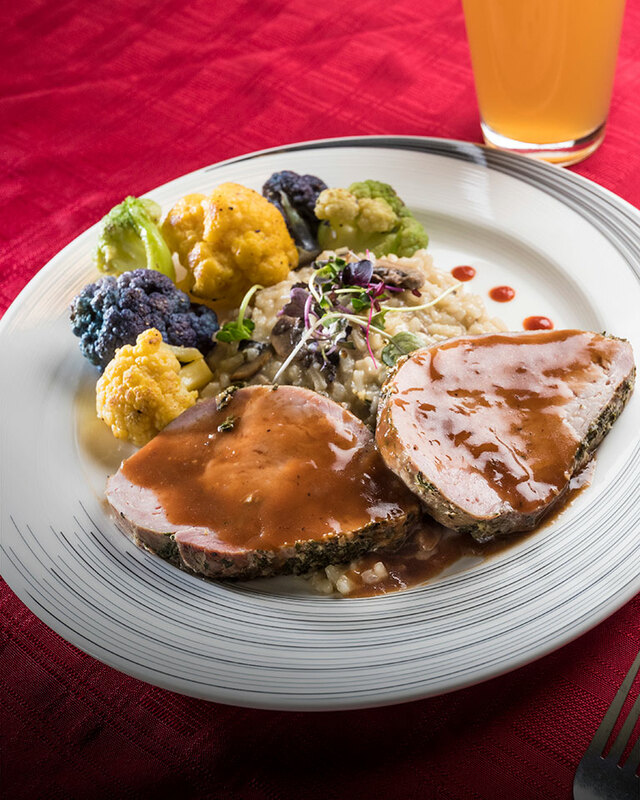 Rich brown demi-glace sauce, slow-simmered for full depth of flavor, further enhances the taste of the juicy pork—and partners beautifully with the luscious mushroom risotto that accompanies this feature dish, along with a side of colorful veggies. 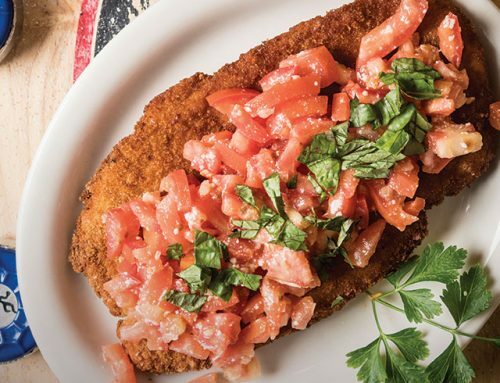 On a menu packed with the down-home delights—where else can you find Fried Green Tomatoes with Black Bean-Corn Salsa and Cajun Crab Remoulade?—such specials provide long-term regulars with unexpected pleasures. Hearty hickory wood fuels the fantastically fragrant on-site smoke oven, infusing pork, beef, and poultry with smoothly robust smokiness. A kettle of Gumbo, scratch-made daily and redolent with Cajun seasonings, delivers an authentic taste of the bayou. 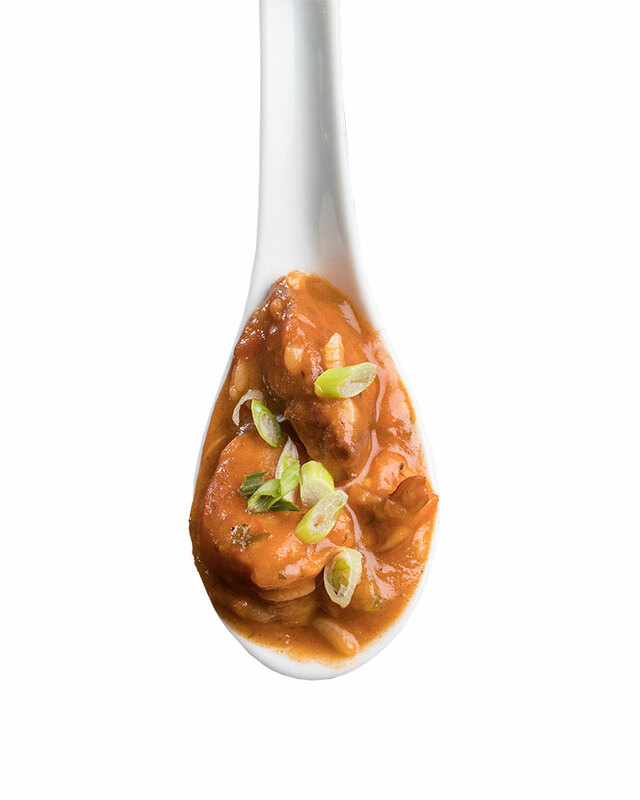 More than a dozen rotating recipes change the flavor profile with the ingredients—chicken, sausage, crawfish, and/or alligator—simmering in the stew. Rustic character, acquired naturally since the mid-19th century, abounds at this casual country destination. Plentiful piggies accenting the décor remind guests this is truly hog heaven. 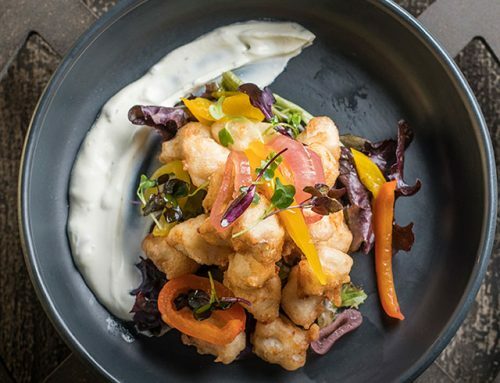 The sociable bar stays busy dispensing 10 draft beers and assorted craft bottled brews, and also shaking up rotating Hurricane and Martini features. 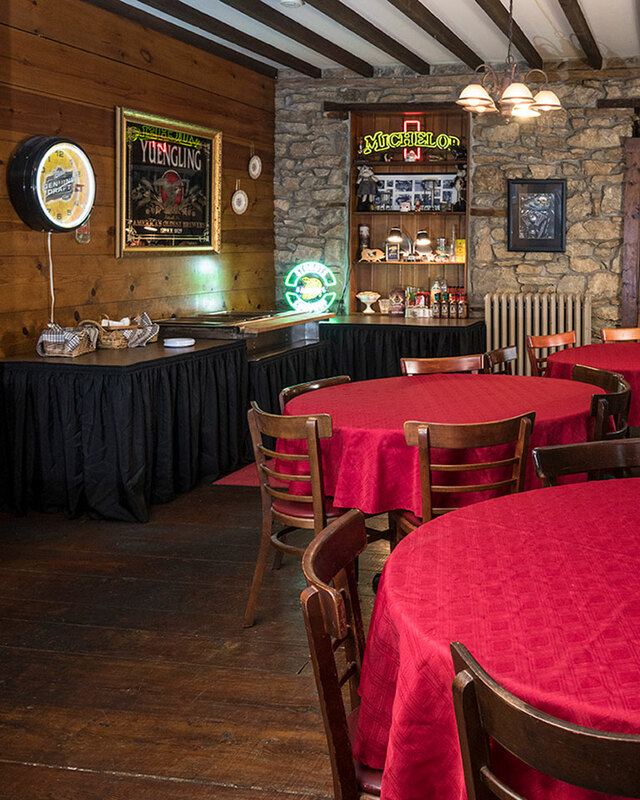 A private party room upstairs offers a warmly inviting yesteryear environment for hosting special events. Where there’s smoke, there’s flavor—essentially the foundation of a menu built upon slow-cooked pork spare ribs, pulled pork, wood-pit chicken, and beef brisket barbecue. 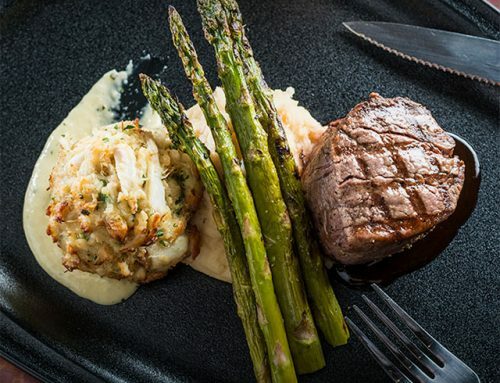 Enjoy in-house or as take-out with an online ordering app. The food show also goes on the road with catering units and the Worldly Q Food Truck, presenting diverse “cultural wood pit flavors” from America, Mexico, Cuba, Korea, and the Caribbean. In true roadhouse style, live music rocking the house Friday and Saturday nights has been a tradition since opening day.